A.V. van den Berg, Human Ego-Motion Perception. 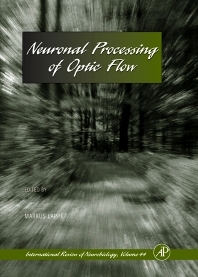 M. Lappe and K.-P. Hoffman, Optic Flow and Eye Movements. K. Kawano, Y. Inoue, A. Takemura, Y. Kodaka, and F.A. Miles, The Role of MST Neurons during Ocular Tracking in 3D Space. M.V. Srinivasan and S.-W. Zhang, Visual Navigation in Flying Insects. H.G. Krapp, Neuronal Matched Filters for Optic Flow Processing in Flying Insects. B.J. Frost and D.R.W. Wylie, A Common Frame of Reference for the Analysis of Optic Flow and Vestibular Information. H. Sherk and G.A. Fowler, Optic Flow and the Visual Guidance of Locomotion in the Cat. F. Bremmer, J.-R. Duhamel, S.B. Hamed, and W. Graf, Stages of Self-Motion Processing in Primate Posterior Parietal Cortex. C. J. Duffy, Optic Flow Analysis for Self-Movement Perception. R.A. Andersen, K.V. Shenoy, J.A. Crowell, and D.C. Bradley, Neural Mechanisms for Self-Motion Perception in Area MST. M. Lappe, Computational Mechanisms for Optic Flow Analysis in Primate Cortex. M. W. Greenlee, Human Cortical Areas Underlying the Perception of Optic Flow: Brain Imaging Studies. L.M. Vaina and S.K. Rushton, What Neurological Patients Tell Us about the Use of Optic Flow. Chapter References. Index.